We were famished. Our leader, Lou, had been to Bacolod on many occasions and was driving the lead vehicle of our two-car caravan. Lou would be directing us to a local McDonald’s. A British bloke, Birthday Boy Lee, followed behind. My better half and I were in Lee’s horseless carriage along with his wife, Joy. Lou’s spouse, Lorna, was riding with her husband along with Professor Paul and his wife, Janeth. 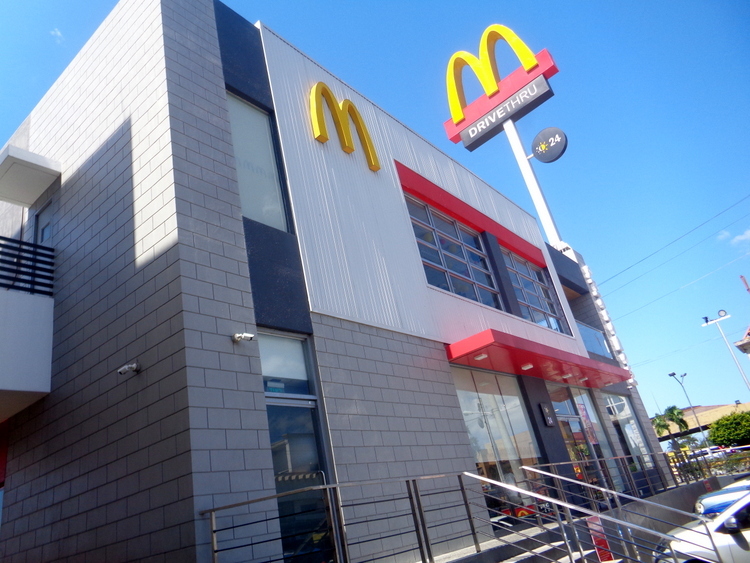 Traffic was heavy in downtown Bacolod as Lou navigated his way to a McDonald’s that had parking spaces available. Parking on the street is sometimes at a premium in the big city. Now Lee pointed out to me that in Guimaras, the island province we all call home, Lou drives a conservative 45 KPH. In contrast, Lou was a virtual speed demon in Bacolod sometimes hitting 100 KPH on the main roads, but not in Bacolod City proper. If he had driven any faster he would have caught up with yesterday. Hence, Lee sometimes had difficulty keeping up with Lou, especially since Lee was driving in an area he had never been to before. We weren’t in Guimaras anymore. Above all, in fairness to Lou, he has to drive more conservatively in Guimaras due to the abundance of tricycle and jeepney drivers who will suddenly stop in the middle of the road without any notice. Not to mention carabaos and goats along side the roads that a driver has to occasionally dodge. However, in Bacolod City, the drivers seemed a bit more disciplined. I don’t know about their carabaos and goats, however. After a hearty lunch at McDonald’s we were refueled and ready to go. Leader Lou sped off with Lee in fast pursuit. 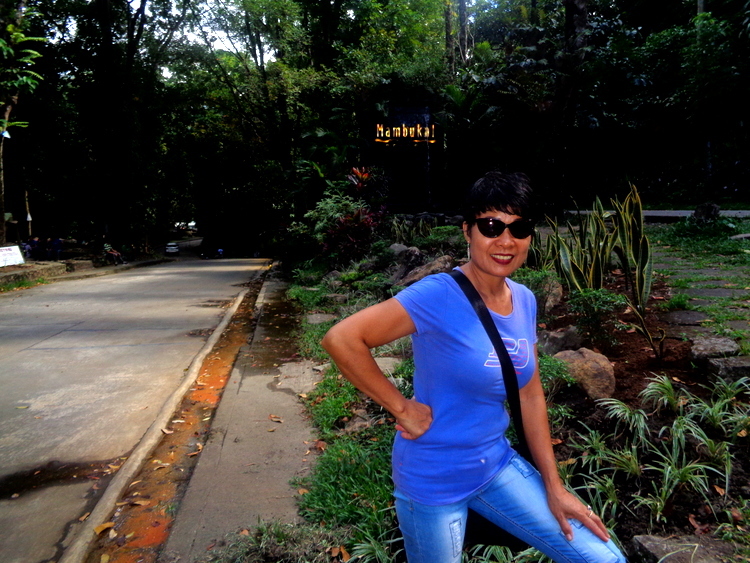 It was about a 45 minute drive to our destination, the Mambukal Resort. 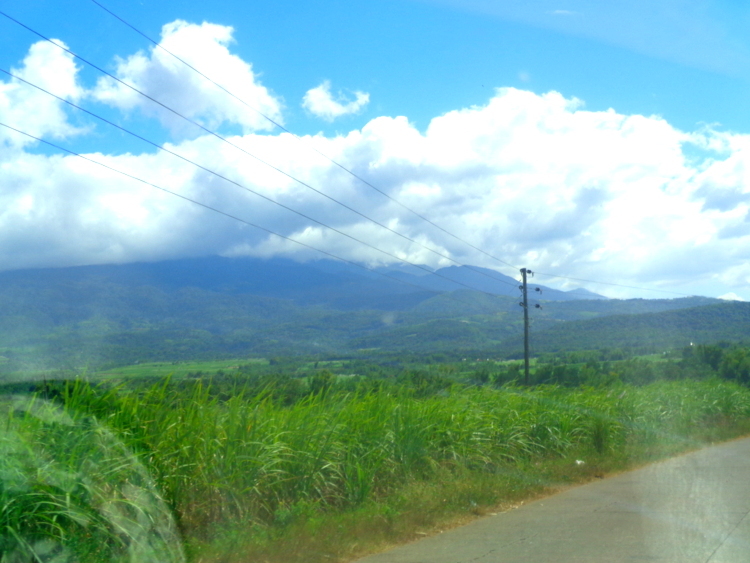 Here’s a look at one of the many sugar cane fields we passed along the way. The gateway to Negros Occidental, Bacolod City is 55 minutes from Manila by air, with Philippine Airlines, Air Philippines, and Cebu Pacific Air providing daily flights. Bacolod is 30 minutes from Cebu City by air with daily flights provided by PAL and Cebu Pacific four times a week. 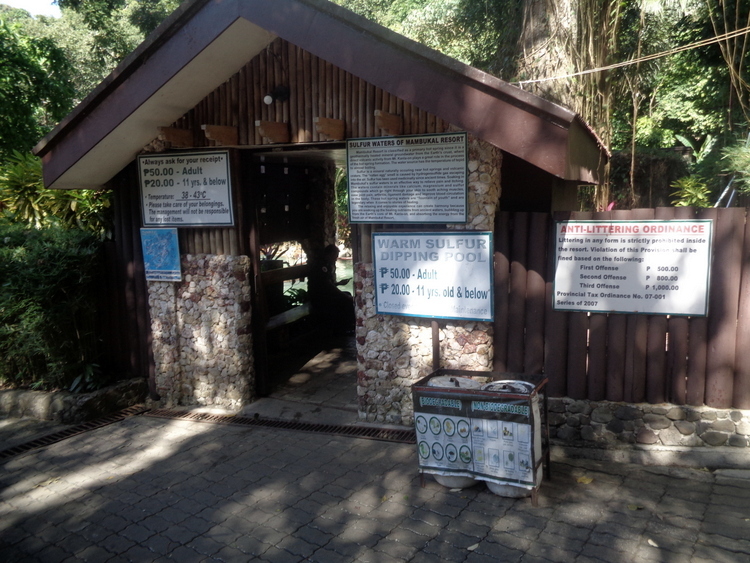 From Bacolod to Mambukal Mountain Resort is a 35-45 minute drive by private car passing through Murcia town. Public utility vehicles plying this area are located at the northwestern side of the Libertad Public Market. 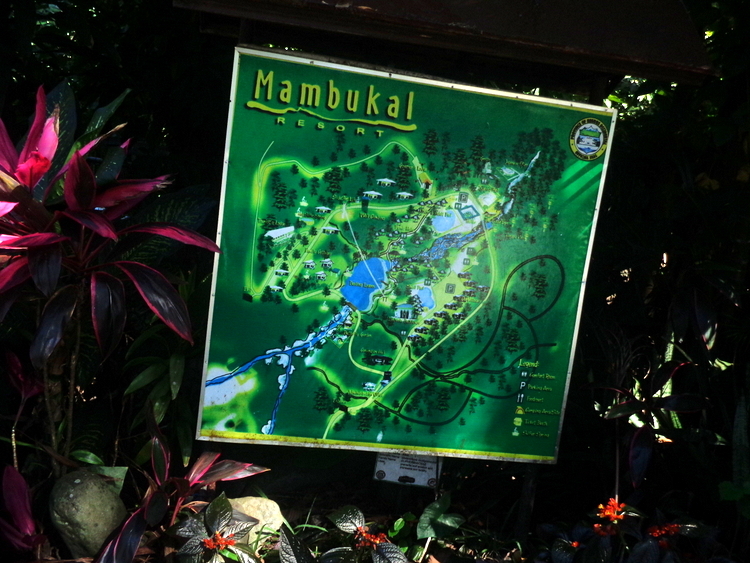 We reached Mambukal Resort, known for its hot sulfur pools and seven waterfalls. After a brief look around, our group decided to check on the availability of rooms at the resort. Lee had tried to call the resort earlier but the phone only rang and rang. No one answered the phone. As a result, we didn’t know there weren’t enough available rooms until we checked with the front office. Maybe you’ll have better luck than Lee. However, it’s not uncommon for businesses in the Philippines to let their telephones ring without bothering to answer them. 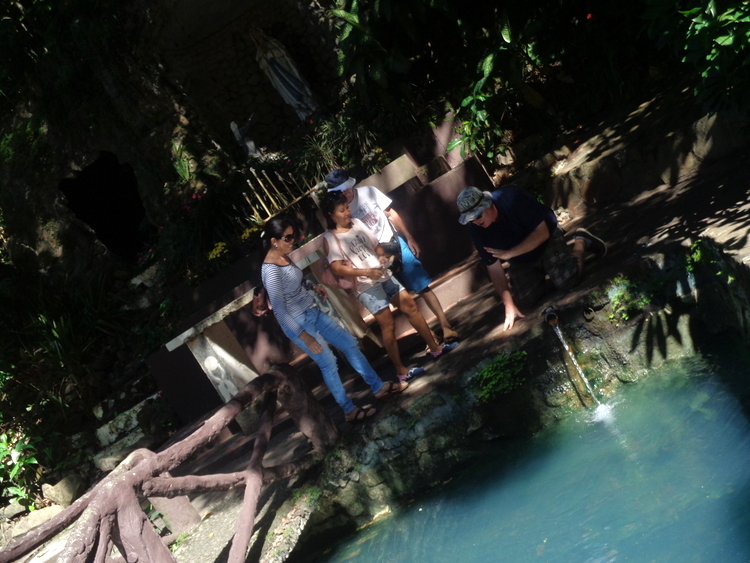 Consequently we decided to look around the resort and head back to Bacolod City later to book a room there. No major events were going on in the city and we didn’t anticipate any problems in finding a room. We planned to return to the resort the next day, Saturday. 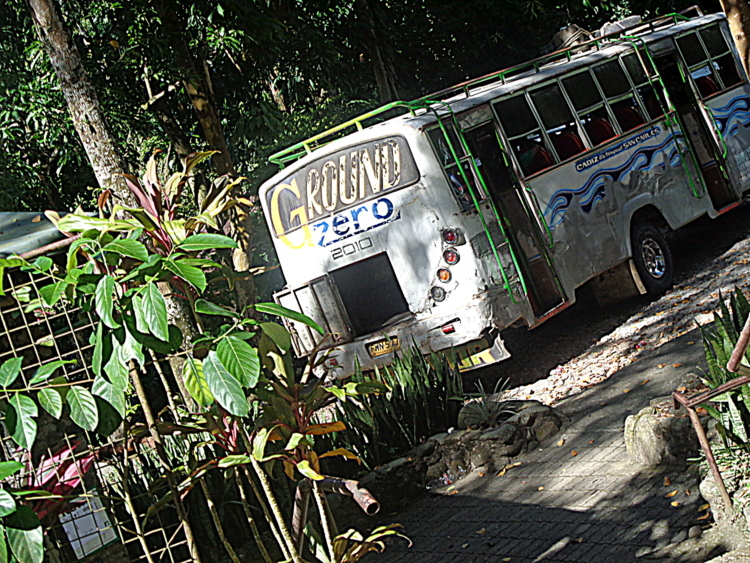 There were copious amounts of tour buses at the resort such as the one seen below. It was hotter than a honeymoon hotel. I had already consumed a liter of water and needed to find more. While it had been several years since I suffered a kidney stone attack, I wanted to keep hydrated in these scorching conditions. 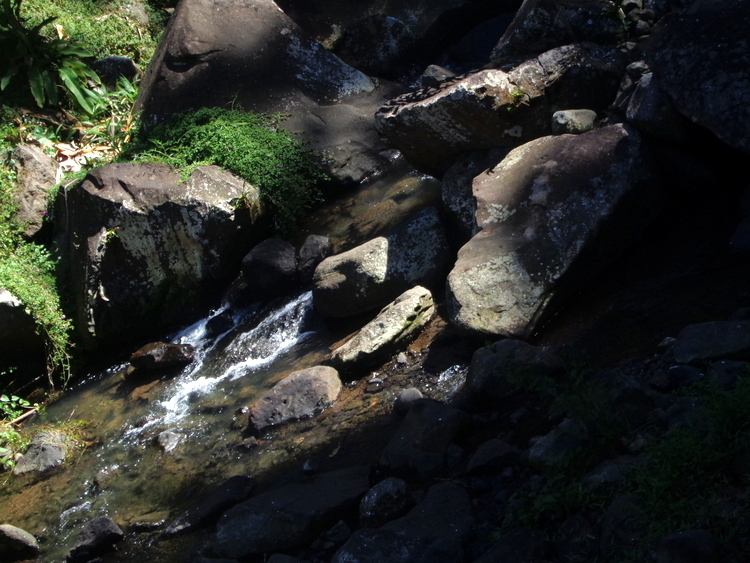 We entered an area where there were two warm sulfur dipping pools. The area smelled of a thousand farts all going off at once. Much like what my poor wife experiences after I consume a bowl of chili. I declined a dip in the pools. I was already as hot as the hinges of hell. Above all, I didn’t bring any swimming trunks. I can’t swim, so why bother? The Japanese Ofuro Pool at the Mambukal Hot Spring Resort is the hotter of the two pools at 45 degrees Celsius, or 113 degrees Fahrenheit. 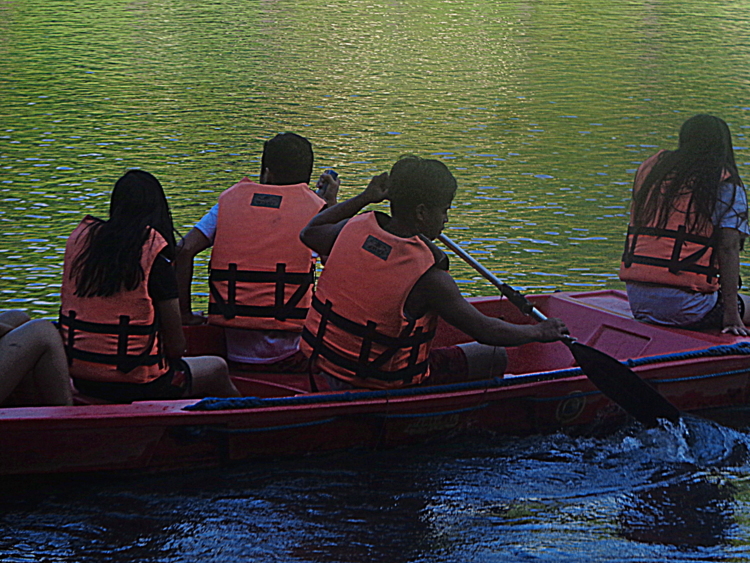 Some of our crew can be seen testing the water’s temperature with many of them pulling their hands out right away. However, I was able to withstand the heat for over a minute. Guess I’m more thick-skinned (as I’m certainly known to be quite “thick-headed” at times.) In contrast, one of our friends of British origin immediately withdrew his finger out with a yowl. I’m only glad he hadn’t decided to dip his pecker inside instead. 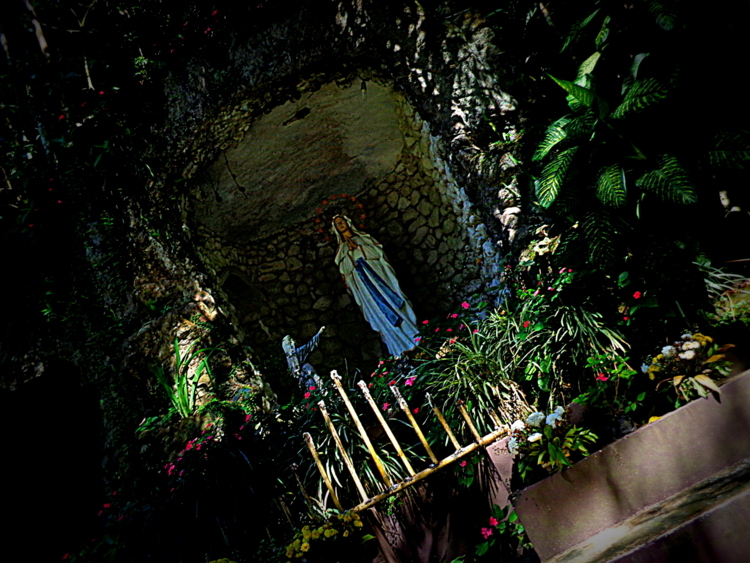 Religious themes found at the resort shouldn’t be a surprise in a mostly Catholic nation like the Philippines. We walked around the rest of the afternoon checking out the scenery. 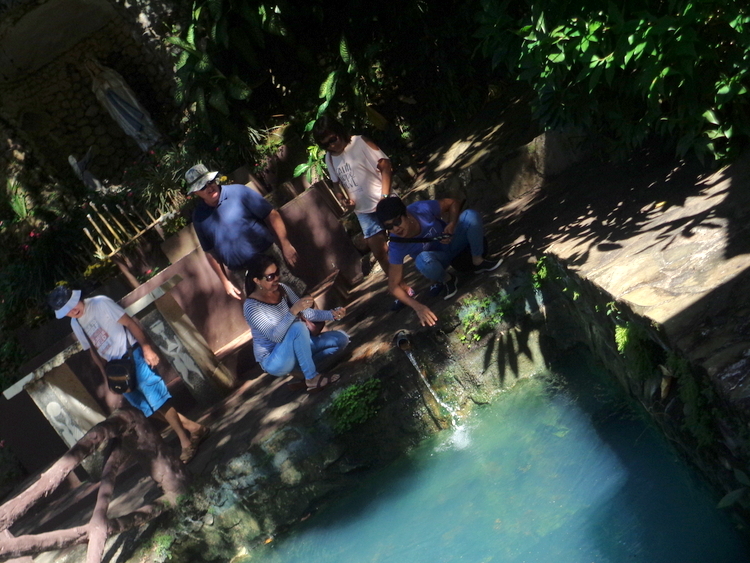 Some of our group ventured into the slightly “cooler” warm sulfur spring pool which had temperatures around 38-40 degrees Celsius, 100-104 degrees Fahrenheit. Because we wanted to book a room in nearby Bacolod City we cut off our adventures in Mambukal Resort late in the afternoon. With Lou leading the way again, we headed back to Bacolod City. After all, we would be returning to the resort early the next day and spend some more time exploring it.